When thirty two year old Londy and her twelve year old daughter first came to Holy Apostles Soup Kitchen two years ago, they were not only hungry for a meal, they were also fleeing a dangerous domestic violence situation. For Londy, the prospect of homelessness was safer than the constant threat of physical abuse. 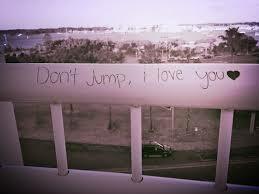 It’s taken courage for Londy to trust people again, after living under chronic fear for so long. She’s been enduring unpredictable and temporary living arrangements while seeking out housing that’s truly safe and permanent. 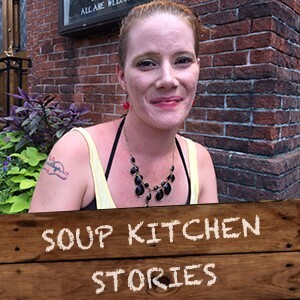 “I live in a shelter so the soup kitchen is really comforting,” she says, adding how much she found comfort by talking with one of the clergy members one day, and how the social services program has helped her navigate resources to help her cope. Today, Londy’s hopeful that her section 8 housing application will be approved before the winter sets in. While she must contend with the stress of waiting for that outcome, she’s gained enough trust in others again to meet with both the chiropractor and energy healer who volunteer their time at the soup kitchen every week. 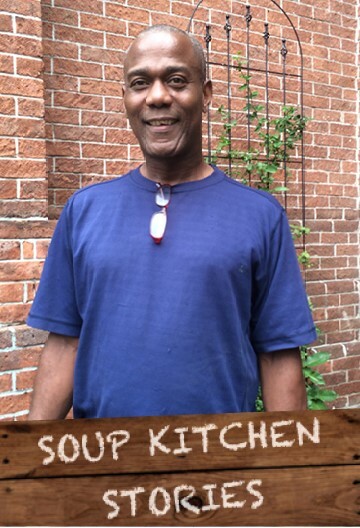 Recently, Jacques dropped in for a visit on his day off to let our social services team know how much his life has really turned around since he first came to the soup kitchen. When the fifty two year old first came here about three years ago, he had lost his job and his home. He was also grieving the loss of his mother, who he had lived with and helped care for during her illness before she passed away. Robert has been delivering important messages for a long time now, and we’re fortunate that his work has brought him back through the doors of Holy Apostles Soup Kitchen. In the mid 1990’s Robert was a bike messenger in lower Manhattan and would “stop in pretty much every day for a hot meal” at Holy Apostles Soup Kitchen. By the year 2000 he had put in enough time – “8 hours a day on a bike!” – to merit moving up to a job as an indoor messenger, working within an office mailroom setting. Hard work has always been central to Robert’s life. He was working hard and his employment steady when, in 2006, he was diagnosed with cancer. No longer able to work full time, Robert found himself without a job at all, his only focus on survival. 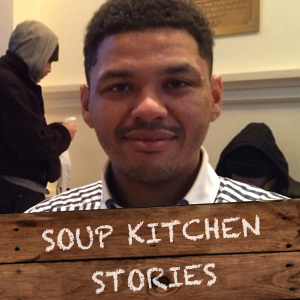 That’s when he turned to Harlem United for support, which ultimately led to the part time job that brought him back to the steps of Holy Apostles Soup Kitchen, helping today’s guests. Robert says Harlem United Services was originally set up to help only people living with HIV access the help they need, but it has expanded its range of services to people with differing physical and mental health needs. His job is to get the message out about its day programs: from therapy to housing and health coordination. 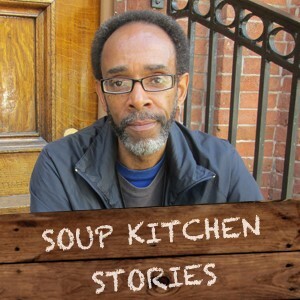 “I had to think of places where I could tell a lot of people about Harlem United, and Holy Apostles Soup Kitchen was always in the back of my mind,” he says.